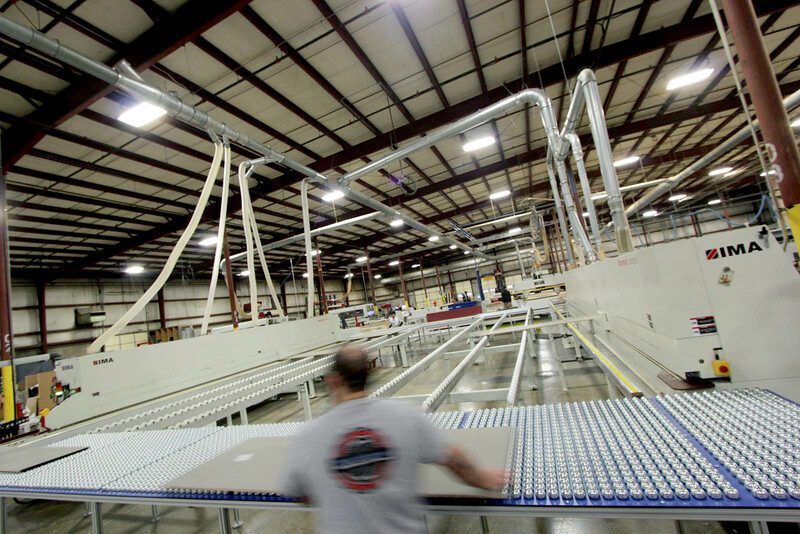 In September of 2017, we started the process of adding new machinery and reconfiguring our manufacturing square footage to better serve our customers’ across the country from our Kansas City location. 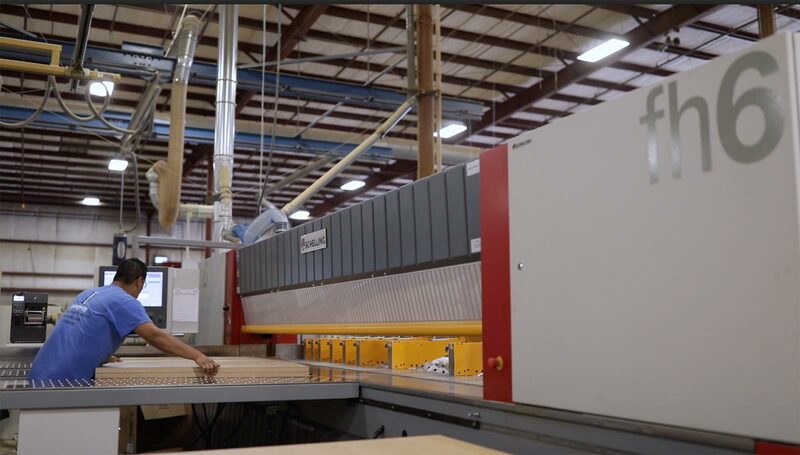 Spurred by over 22% growth in this facility from 2016 to 2017, the goal of our new machines and configuration is to serve our customers’ increased demand and continue to deliver on our promise to provide Quality Laminated Parts On Time. 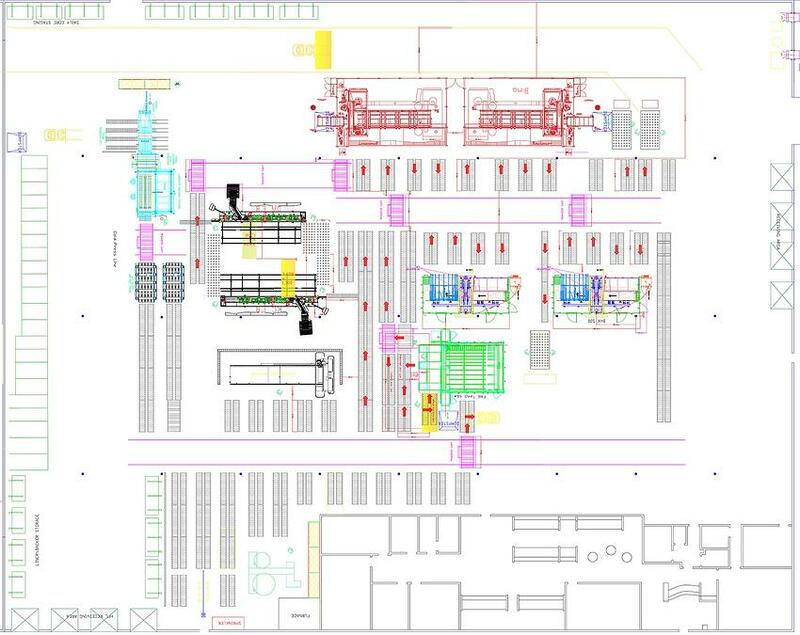 As we’ve grown this past year, we’ve seen many opportunities to improve and expand our operation with a complete redesign of our manufacturing floor layout, a new high-speed saw, the addition of a multi-panel boring center and, most recently, doubling our straightline and contour edgebanding machinery. The first problem we had to solve was finding a home on the manufacturing floor for our new machinery, without disrupting current production. 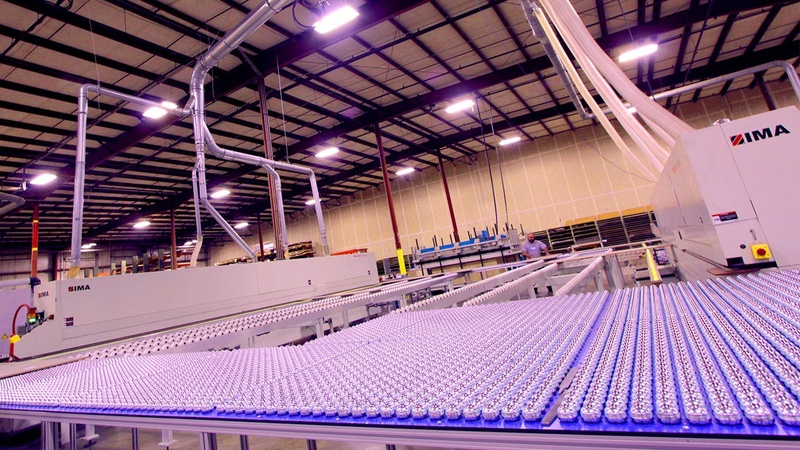 We also knew we wanted to improve efficiency, minimize the amount of labor involved in moving parts from one machine to another and, ultimately, increase overall capacity. With some careful planning, a few new roller tables, and a lot of hard work from the team, we achieved our goals in just a few months. Our first upgrade was the installation of a new high capacity saw, the Schelling fh6. With this Austrian panel saw’s automation and cut speed of 492 ft/min, we can offer customers increased precision and speed. We can meet future demand and feed our increased capacity down the line. We also benefit from increased safety and less wear-and-tear on our employees with the installation of a vacuum hoist for loading panels to be cut. As our customers continued to add new, more complicated boring and routing to their product offerings in 2017, we needed to stay ahead of their needs with the right solution. With the addition of our first Weeke BHX500 from HOMAG, we’re able to meet that demand. This CNC machining center is designed for routing, boring and grooving. It utilizes high-speed vertical boring spindles on two panels simultaneously, basically doubling production. We are currently in the market for a second BHX500 to allow us to achieve 100% up-time even during routine maintenance. In addition, we utilize bar code scanning with this machine while we look at rolling this capability out to the entire shop. 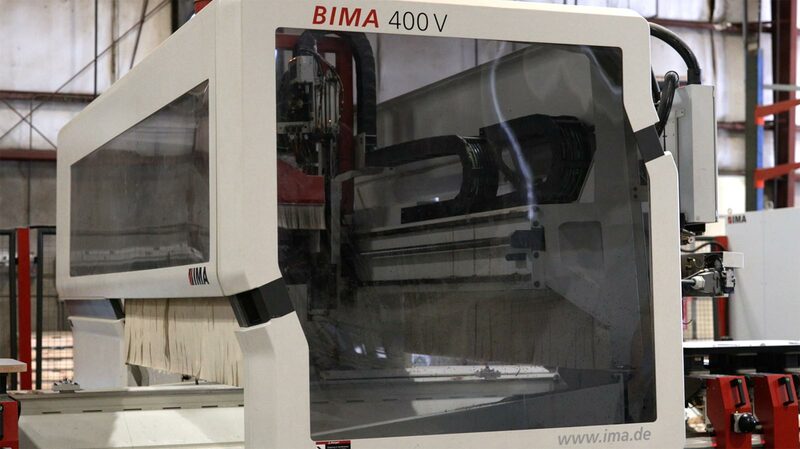 Part of our new capability included adding a second IMA BIMA 400V contour edgebander. Adding a second machine allows us to expand our capacity to meet demand for more complicated desktop and work surface shapes. 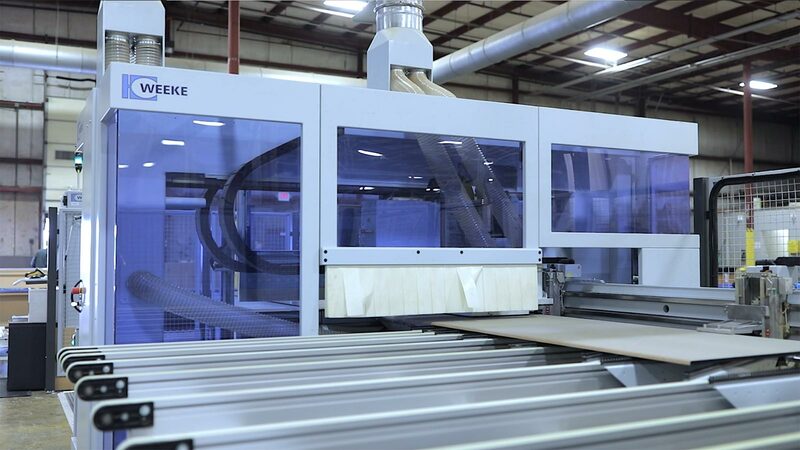 These machines can take a panel that’s been cut roughly to size, shape it, edgeband and trim it, then route it as needed. Parts are ready to ship as soon as they are pulled from the machine. In addition to the added capacity, this second machine allows us to keep production running during routine maintenance or if one machine goes down. The final piece to this phase of our evolution involved adding a second IMA Novimat straightline edgebander to the shop and configuring it in a continuous loop with our current edgebander. We also custom built three new roller tables with over 7,000 ball bearings that allow parts to pass from one machine to another without being picked up. This new configuration reduces production time, decreases damage to parts, and cuts down on wear-and-tear and injuries to our operators. Once a part starts the loop, it stays on a table until it’s finished and ready to move to the next step.